In Europe, this year’s update to AMLD4, the European anti-money laundering regulations, means that more companies need to perform the Know Your Customer (KYC) process on more of their customers and need to identify more information, such as the beneficial owners of a company. Globally the political focus on terrorist financing and tax evasion is intensifying. At the same time more customers are transacting online than ever before and are no longer effectively serviceable with offline on boarding processes that involve paper copies or visitors to solicitors as part of the KYC process. All this means that banks worldwide need efficient ways of dealing with regulatory and market demands and have to look to technology in order to make this happen. The mantra of think global act local, is all well and good but when it comes to adherence to regulation the audit trail has to stack up. The compliance officer has to know that the decisions being made can be supported by solid evidence that prove people and business are who or what they claim to be. Although the internet has shrunk the world to a swipe or click or push of an icon, there are still somethings that are not digital and some jurisdictions where records still exist in paper format and can only be accessed by certain people – and this is where the homogeneous digital world meets a heterogeneous one when it comes to KYC and AML. The current pervasive and labour-intensive practice of requesting paper copies of company documents directly from a new customer as part of the on boarding process, manual processing by the compliance officer to identify the list of beneficial owners and controlling individuals and then requesting identity documentation again in paper format, results in two things: frustration and latency. Everyone winds up getting frustrated that everything takes so long! The allure of automated KYC solutions from companies such as Know Your Customer that automate more than 90% of the process and significantly reduce the KYC / AML processing times for corporations from typically 3 weeks to one day is obvious. But banks globally still have to follow what we call the six golden rules of KYC to make the process as seamless as possible. Below is our list of what financial institutions need to consider when looking at technology to automate the KYC and AML processes in order to take a unified approach to customer on boarding. There is no point rolling out technology that causes conflict or that doesn’t add value – it should make life easier for everyone that uses it. Any solution that is hard to use or doesn’t improve an existing process should not be considered. Only use government data sources in accordance with AML regulations. If a solution claims to link to a multitude of databases, verify that only official data sources are used. It is too easy for criminals to use vendor’s self-service forms to add fraudulent entities to non-official databases. Given that it’s government legislation that needs to be adhered to for KYC and AML process, it is important to ensure that the platform being used is connected to those sources. Documentary proof (filing documents) is necessary for full AML regulation compliance – but where is is stored? It is critical to know where documentation will reside and how can it be accessed – not only to adhere to best practice but to ensure that an audit trail can be followed in the event of an investigation . In the cloud is fine – but specific detail on the location of the data centre and how the documentation is stored are all questions that should be on your list. A techology platform that gives the full picture is what will deliver real value to a bank. It should automatically unbundle complicated corporate structures so that you can identify individuals at the end of the chain, make informed decisions and where appropriate support the customer or individual in the right way. Additionally individuals with large shareholdings need specific focus, so your tehnology solution needs to provides you with that insight quickly. A picture is worth a thousand words and nowhere is that more true that in compliance and AML. A KYC technology solution that can automatically produce structured corporate ownership charts is a must and for completeness, behind the neat graphics you should be able to access the associated data and documentation. Given the prevalent use of smart phones and mobile devices, to offer a customer-friendly sign up process, banks should think about how how this can impact the KYC. customers or process. Most obviously a customer should be able to provide photo identification via a mobile app. In addition, a compliance officer would no doubt benefit from the ability to review cases on a tablet or smart phone, so this functionality is certainly worth considering. By following the above six rules, any bank should easily grasp the prospect of an automated KYC process, resulting in a faster, more accurate and unified approach to customer on boarding. 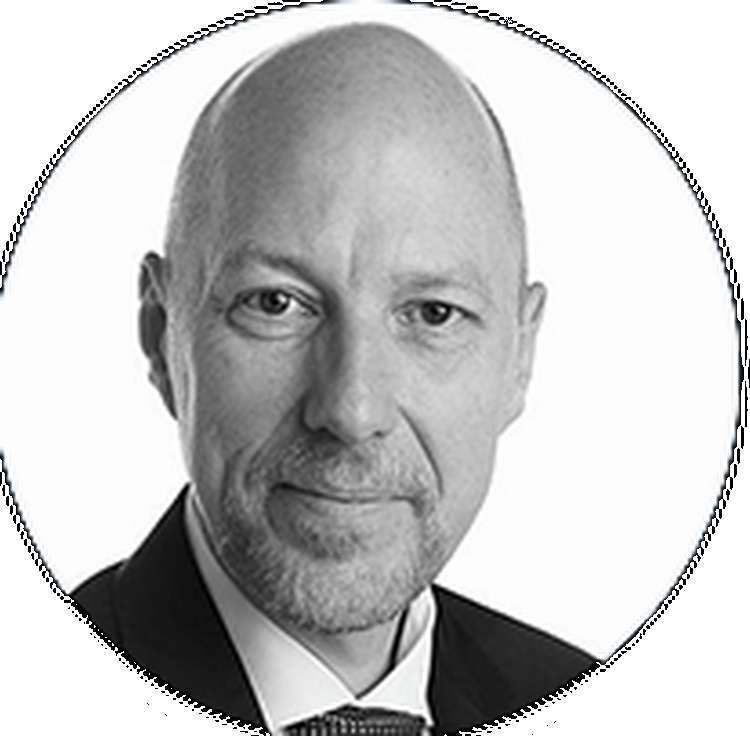 Claus has more than 30 years of experience in the IT industry. After studying computer science at the University of Hamburg he worked for a number of technology companies. He has been VP Electronics at Thielert Aircraft Engines designing and series-producing the group’s digital engine management system for small aircraft and military drones. In 2000 he founded a software company, Servolutions GmbH. The company develops and sells software products for e-mail server infrastructure to more than 60,000 worldwide customers. In 2015 he founded Know Your Customer Limited with Richard Barrett and Cormac Doddy to develop and distribute software tools and solutions in the anti-money laundering / know your customer space.